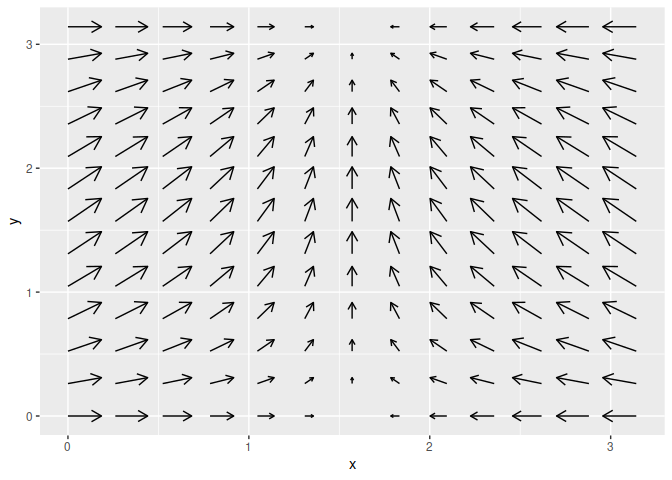 An extension of 'ggplot2' to provide quiver plots to visualise vector fields. This functionality is implemented using a geom to produce a new graphical layer, which allows aesthetic options. 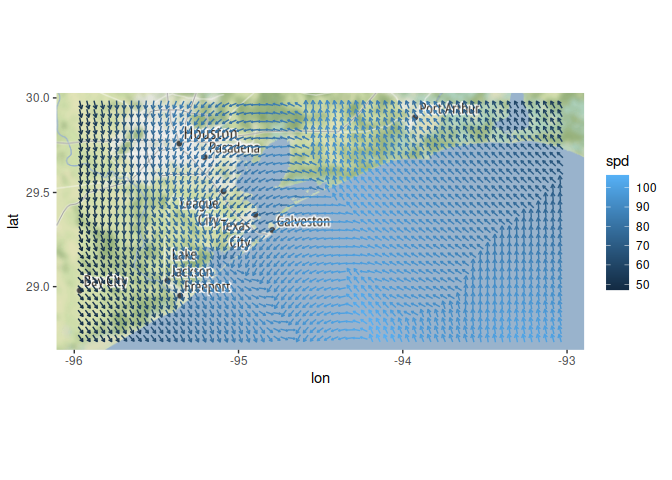 This layer can be overlaid on a map to improve visualisation of mapped data. 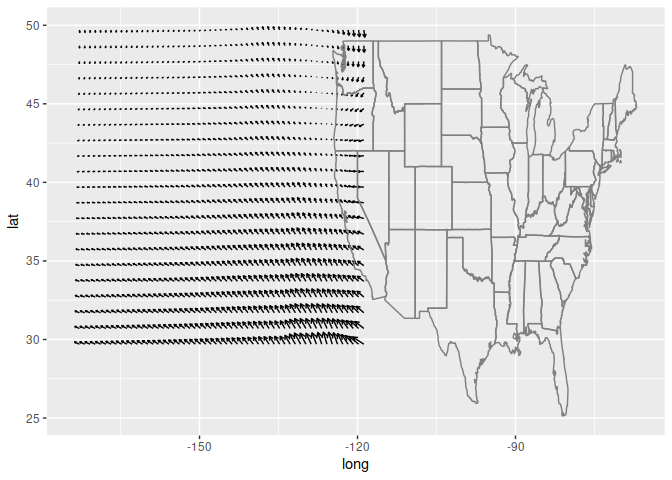 ggquiver introduces a new geom geom_quiver(), which produces a quiver plot in ggplot2. Quiver plots for functions can easily be produced using ggplot aeshetics. When a grid is detected, the size of the vectors are automatically adjusted to fit within the grid. The ggplot2 example for seal movements is easily reproduced, with appropriately scaled arrowhead sizes. Here, the vecsize is set to zero to not resize the vectors. Quiver plot arrows can be centered about x and y coordinates, which is useful when working with maps and scaled vectors.